With the Destiny beta officially wrapped up, gamers are left with just over a month to wait before the full game comes out on September 9th. This gives the folks at Bungie to use what they’ve learned to improve the final product, and gives us a chance to reflect on what we’ve seen thus far. But after blasting countless aliens and looting innumerable shiny orbs of light, what exactly have we learned? Let’s start with the overall experience. 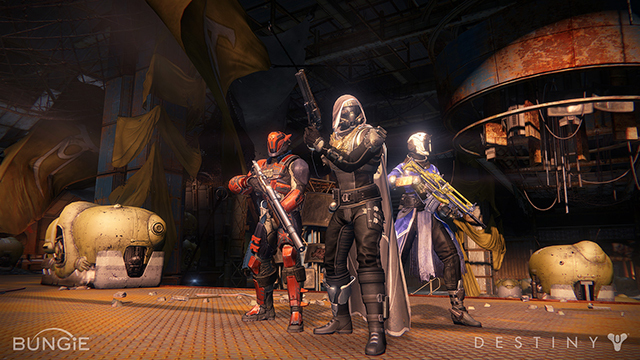 Since it was first announced, Destiny has been touted as a game that would allow people to play however they wanted. Solo campaign players, co-operative loot hunters, and competitive gladiators would all find something to enjoy. In many respects, the beta helped lend some credibility to those lofty claims. A handful of Story missions hinted at an interesting tale of humanity reclaiming the ruins of a lost golden age, and the gameplay felt balanced both solo and with a co-op friend or two. Open-world Exploration and a targeted Strike mission offered a respectable variety of tasks to complete in search of new weapons and equipment, and the Strike felt different enough from the Story missions to justify calling it a separate game mode. 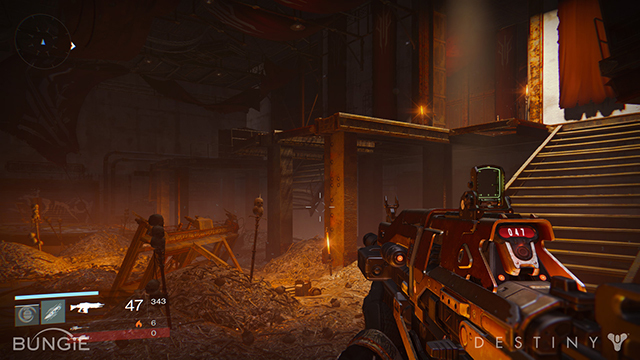 The competitive multiplayer of the Crucible showed that Bungie still knows how to build interesting environments in which a dozen people can try to kill one another. Each aspect of Destiny felt worth playing, yet the game didn’t seem to penalize players for focusing on their favorite modes. It really did seem possible to approach the Destiny universe in whatever way you wished. What was most interesting about these different modes, and what helps Destiny stand out from the crowd, is how they interact. Story, Explore, and Strike missions all take place in the same open-world environments, and the game is constantly engaged in matchmaking to place multiple players in the same iteration of an area. In the middle of a Story mission, you might run into someone who’s out gathering materials or looking for sidequests. The two of you may end up engaging the same group of enemies, or even work together in a “public event” – a randomly generated encounter in which multiple players take on a swarm of enemies or a high-level boss. It’s also possible that you’ll simply be two ships passing in the night, existing in the same world but not feeling the need to interact at all. It’s an interesting game mechanic that helps add some variety to familiar areas and makes the world feel more alive. 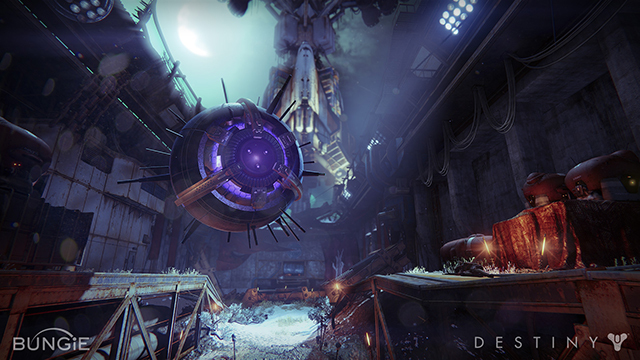 Destiny’s open world feels like more than just a place to farm experience; it feels like an actual world. In broad terms, then, it’s safe to say that it really does do what it says on the box. But the details are what turn an ambitious concept into a great game, and the beta suggests that plenty of thought went into the gameplay of Destiny. Adding classes and character progression to a first-person shooter always results in a difficult balancing act. Offer too much customization, and shooter fans will gripe that they’re spending too much time in the inventory screen and not enough time fighting baddies. Offer too little, and the role-playing crowd will gripe that the game unfairly favors quick reactions over carefully considered character loadouts. It’s a dangerous middle ground to try to occupy, but Destiny looks to be up for the challenge. Choosing between the Titan, Warlock, and Hunter classes for your first character may feel like taking a shot in the dark, but all three ultimately have a respectable balance of strengths and weaknesses. I played up to the level cap with all three classes, and only once noticed what seemed like a genuine imbalance. The Hunter’s super attack requires an additional button press compared to the Warlock and Titan, which felt like a significant disadvantage in fast-paced Crucible combat. On the other hand, perhaps a wider variety of competitive modes in the retail release will reveal a way for the Hunters to get some shiny, golden payback. Character and weapon customization is simple and fairly intuitive, not to mention forgiving. Leveling up unlocks new passive and active character abilities, some of which are mutually exclusive. Do you want incendiary grenades or homing grenades? Do you want your special melee attack to restore health or give you a speed boost? The good news is that players can try each new ability without making a blind commitment, as swapping back and forth is as quick and painless as putting on a different helmet. The three classes also have full access to every gun type in the game, so your weapon loadout can either complement your natural strengths or make up for your weaknesses. Titan’s super attack lacks range? Equip a sniper rifle. Hunter too focused on precise attacks? Use a rocket launcher. Warlock requires too much tactical thinking? Heavy machine guns make life simpler. One could argue that the freedom of choice makes the classes feel almost too similar, but one could counter that it’s a small price to pay for the freedom to experiment without having to make a new character every time. Out of all the things worth noting from the beta, one stands out above everything else: Destiny can accomplish its ambitious goals without breaking your console. In over fourteen hours of gameplay split between the Xbox One and Xbox 360, I encountered a whopping total of two minor technical issues. The first occurred when I managed to break a cutscene by opening my inventory, and the second happened in a two-player Explore session during Bungie’s “everyone play at the same time” stress test. In both cases, I was simply booted out to the main “Orbit” menu and was able to continue playing without having to shut my console off. Other than that, the beta ran more or less flawlessly, with party and matchmaking systems that put many finished A-list titles to shame. By way of comparison, the beta for Titanfall caused my Xbox One to crash and misbehave on a regular basis. Considering that the final version of Titanfall works just fine, it’s safe to assume that Destiny will be a well-oiled machine come September. In the meantime, humanity’s foes should ready themselves, because I’ll be back tossing explosive space magic at their ugly alien faces on day one. You can get Destiny for your console of choice from Amazon here .